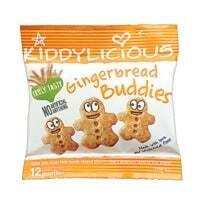 Everyone who joins Kiddylicious club will receive a little treat and will receive a free packet of Gingerbread Buddies. Just follow our link and click on signup button and fill up the form to join their club and you will get a pack in the post. Click on “GET IT HERE” button and then follow instructions given above to get a free pack of Kiddylicious Wafers.